While the talent and influence Jimi Hendrix had on music in general in the 20th century cannot be denied, his success story might not have been what it is today if not for Linda Keith who came into his life and helped him make the necessary connections. She notably introduced him to Chas Chandler who helped him on his journey to becoming widely regarded as one of the most influential electric guitarists in the history of popular music as well as one of the most celebrated musicians of all time. Read on to find out more about Keith, her career and relationship with the legendary guitarist. Born in 1946 in West Hampstead, London, Linda Keith is the daughter of Alan Keith and Pearl Rubeck. Her father who was born Alexander Kossoff was a prominent British actor, disc jockey and radio presenter and a recipient of the Order of the British Empire. She has an elder brother, Sir Brian Keith, who became a high court judge of England and Wales in 2001. There is no information on her educational background nor qualifications but she came in contact with music from an early age, perhaps through her father. At the age of 18, Keith met musician Keith Richards at a party and began dating him afterward. She then went on to work as a model, posing mostly for hats. She was discovered in her late teens while delivering mail at Vogue House. During the mid-1960s, Linda Keith became well connected culturally in the early days of “Swinging London”. Together with her best friend Shiela Klein, she was at the heart of a bohemian community in West Hampstead that compromised of influential artists, singer-songwriters and fashion personalities. Linda Keith’s first known boyfriend was Keith Richards, the guitarist of the English band, Rolling Stones. They met in a party when her best friend, Sheila Klein who was dating Stones’ manager, Andrew Oldham, encouraged her to approach the rather quiet Richards. The two bonded over a shared interest in blues music and soon became romantically involved. In time, she began accompanying the band to their US tours, during which she met Jimi Hendrix. While dating Richards, Keith had a brief encounter with another guy named Paul Ernest who contributed to the column of West Hampstead Life article on her. After she introduced Hendrix to the limelight and then returned to London, she began dating Rolling Stones’ founder and original leader, Brian Jones. In 1983, she married English music producer, John Porter. During one of Rolling Stones’ US tours in May 1966, Linda Keith joined some of her friends to The Cheetah Club in New York where she heard a raw Jimi Hendrix perform. She was taken in straight away and invited him over to their table after his performance. The two later held private discussions about a possible solo career, as Hendrix was a part of a band at the time. Keith reasoned that such a talent need to be seen by the world and believed she could make the needed connections. Determined to make a star out of the obscure guitarist, she worked to not only get him noticed but to possibly secure a recording deal. She first met with Oldham, and later with Seymour Stein, the man who later discover the queen of pop, Madonna, but neither of those meetings went well. Linda then invited Animals’ guitarist-turned-manager, Chas Chandler, to see Hendrix perform Hey Joe and he was won over. He eventually helped him with his career. Sadly, after Hendrix became established, his management and other people around him helped him to get rid of Keith from his life, citing her as a bad influence on his music. Keith Richard was the one who allegedly introduced Linda Keith to drugs and she later became addicted to them, particularly acid and cocaine. Her dependence on and persistent use of these drugs, coupled with her association with Hendrix, put a strain on their relationship, leading to their eventual break up in 1966. While Hendrix was climbing the ladder of fame, Keith was using drugs heavily and began somewhat of a junky. This prompted Richards to inform her father that his daughter was in distress, prompting the older Keith to travel to America to bring her home. On returning to the UK, Keith was made a ward of court. In 1968, she made the news over a drug overdose incident in Brian Jones’ apartment. She spent much of her life in her parents’ house at 81 Cholmley Gardens until her father’s death in 2003. Keith was the subject of the Stones’ song Ruby Tuesday and also inspired one of Hendrix’s late-career recordings, Send My Love to Linda. 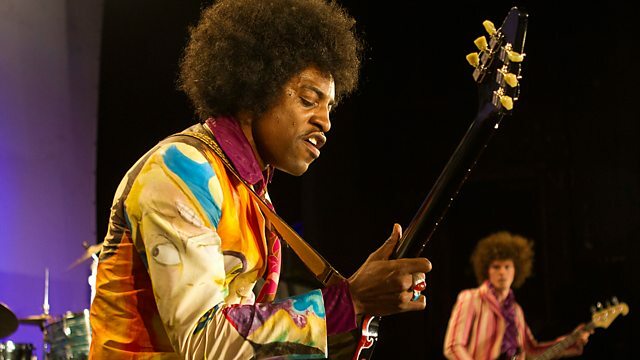 The English actress, Imogen Poots played her in the 2014 biopic Jimi: All Is by My Side, while rapper André 3000 appeared as Hendrix. Keith has also appeared as herself in a number of documentaries based on the Jimi Hendrix’s life.